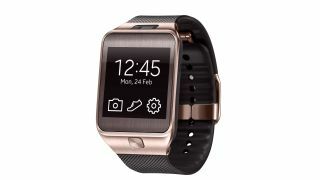 The original Galaxy Gear is going to get a new lease of life as Samsung brings it in line with new smartwatches. Bought the old Galaxy Gear and currently regretting your decision? Worry not – Samsung is going to bring you right up to date. The new Gear 2 and Gear 2 Neo both are using Samsung's new Tizen-based platform for its smartwatches, and as such a greater wave of developers have been signed up to create wrist-based apps. There was a worry that there would be no love for the older model, but a Samsung spokesperson confirmed to TechRadar that the Android would be stripped out and replaced with the new OS. There's no information when this will be happening, nor how the update would be delivered, but the change does mean that all the new Android apps would work on the older model. Obviously the likes of WatchON, which uses the infrared blaster to control your TV, won't be carried over as the original device, but it could get a longer battery life as part of the less intensive system. We're awaiting more details on when this change will happen, but it's good that Samsung isn't hanging those that adopted the Gear earlier and at a high cost out to dry.